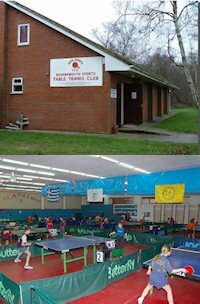 Multinational Village Table Tennis Club is located in Paranaque City, Philippines. The full address is John St. Multinational Village brgy. Moonwalk Paranaque City, Philippines. We are inside the sports and country club of the village so other sports activities like swimming and tennis can be enjoyed as well. The best thing about our club is the camaraderie and passion for table tennis. It is a Multinational Country Club and Club house and visitors and guests can play at our area. Multinational Village Table Tennis Club is open from 8:00 am - 8:00 pm and it is free to play. Although we have three table tennis tables we only use one in order to maximize the space. Our tables are Double Fish and we have pavement flooring, and a well ventilated and lighted space. We have around 20 players for weekends and around 6 during weekdays. We have competitions annually during the summer. 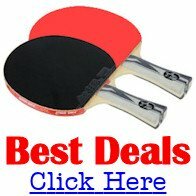 Table tennis coaching is offered on an appointment only basis. We have been playing for the last 3 years but only on September 23, 2011 were we able to name the club. For more information please contact Mr. Edwin dela Cruz. We do not yet have a web site.